Our friendly staff will ensure your experience at ReClif will be a memorable one. Reece is the inspiration, designer and driving force behind ReClif. As a non-speaking autistic, Reece endured almost 20 years unable to communicate his thoughts and desires. In November 2014, Reece and his family were part of the first ever communication workshop given by Elizabeth Vosseller in Atlanta where he was able to demonstrate his intellect and ability via the letter boards. Very early in Reece’s journey toward open communication, Reece expressed a desire to help others like himself. It has been a somewhat arduous process, but with the help of family, friends and therapists, bit by bit, Reece has been able to compose and outline his vision for a fitness-based therapy and community center, and ReClif was born. 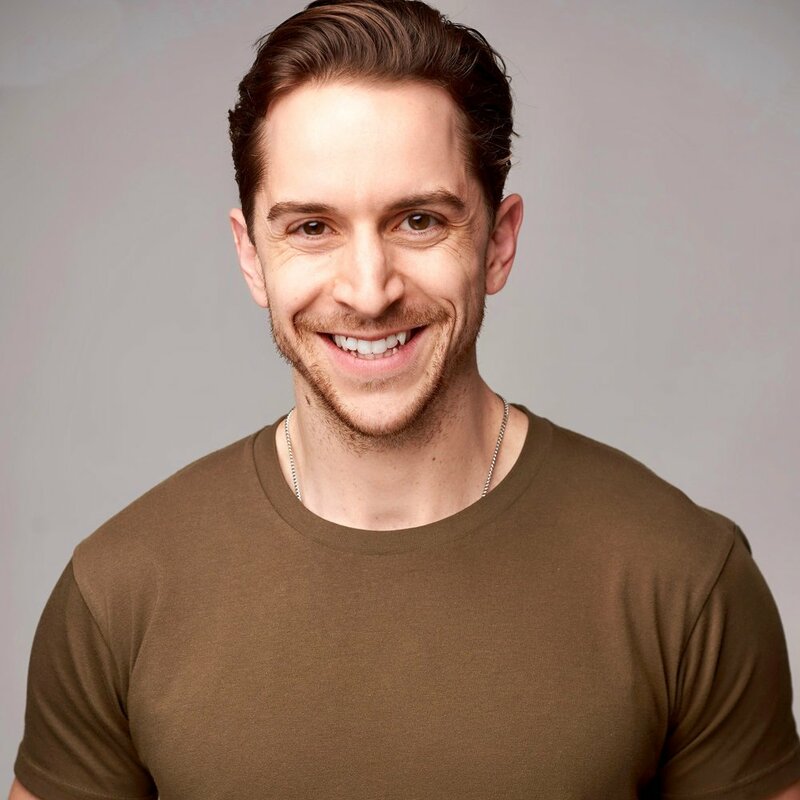 Reece will continue to be the brainchild and architect of all aspects of ReClif and is excited to offer the opportunity to build a better community of acceptance, intelligence and understanding. As a full-time wife and Mom of three, with a degree and license as a Registered Dental Hygienist; owner/operator of ReClif was never part of Lou’s life design. But, as often happens, life doesn’t always go according to plan, and recently Lou has been led down a previously unimaginable path. After attending the life changing letterboard seminar and working hard to aid Reece with his new found communication skills, the Blankenship family felt inspired to help Reece fulfill his dream. Blessed beyond belief with the people who have entered their lives through neighborhood connections, friendships, and years and years of in-home therapy for Reece, the Blankenship’s have been able to put together the ReClif dream team to get this endeavor off the ground. Besides our amazing employees, there have been many who have assisted in this mission behind the scenes and for that we are so thankful. While Lou may be the figurative “operator” and “voice” of ReClif, she recognizes that without Reece and the team behind her, this mission would have never taken shape. Austin is a Level-1 Certified Soma Rapid Prompting Method (RPM) Provider. Austin has been working with special needs families since 2001, and specializing in RPM since 2015. Owner of Moore Opportunities, LLC, Austin woks on communication skills with non-speaking and non-reliable speaking autistics through letter boards, typing and purposeful movements. Austin has been instrumental assisting with the implementation of Reece’s vision and as a principle partner will bring much to ReClif with his love for not only Reece, but this whole community. During his senior year of high school in 2001, a friend of Austin's introduced him to the Blankenship family. At the time, they were looking for additional therapists for their home based ABA program for the then 6 year old Reece. 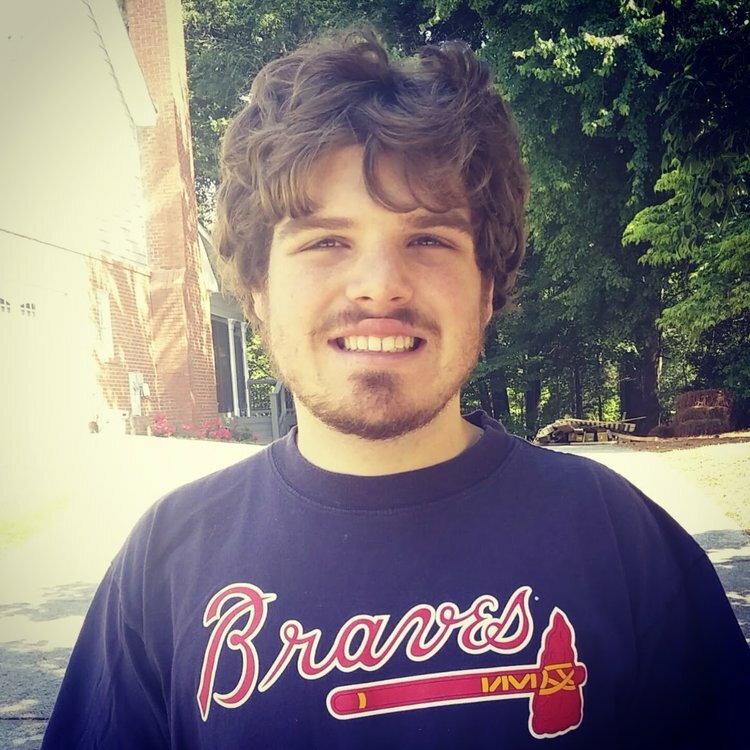 In order to support his future educational journey, I began working part time with Reece and started learning the complexities, yet joys, of the autism spectrum. Like many families with a special needs child, the Blankenship's had tried everything under the sun to support and help Reece progress along his path in life. As a result, Austin was exposed to many different therapy modalities such as DIR Floortime, Son-Rise, Carbone, and most intensely the LoVaas ABA method. The Blankenship family also felt the need for Reece to still be a kid, so Austin spent time outside and they played, A LOT! Austin also accompanied Reece through parts of elementary, middle and high school as he served as his personal school aid for 9 years. This opportunity introduced Austin to a plethora of other students on the spectrum. Austin's love of Reece and this community make him uniquely qualified to be in a leader position at ReClif. "After graduating from UGA with a degree in Biology, I landed a job doing inside sales in the medical arena in 2011. Naturally, I kept in close contact with Reece and the Blankenship who had become my second family! Fast forward to November 2014 when Lou called to urge me to drop everything and watch Reece work with Elizabeth Vosseller at the first spelling to communicate workshop in Atlanta. That emotional Sunday afternoon encounter as I witnessed Reece voice come out on the letter board, cemented my future career. For 15 years I had seen bits and pieces of Reece personality peak through his wayward body, but he finally had a way to purposefully communicate! I knew immediately that I had to learn this method to help other autistics learn to communicate, and this revelation made me realize I was not meant to be stuck in a cubicle making sales calls all day! After learning the basics of becoming a letter board coach, I started working with other families around metro Atlanta as an independent contractor; shoutout to all clients of Moore Opportunities! I completed the Soma-RPM Level 1 training in January of 2016 and have started networking with other professionals sharing my story. Most importantly, how spelling to communicate has changed so many lives. Since Reece has been able to communicate, he has been an all-star advocate for the methodology and has stated that he wants to be an entrepreneur by opening a community center. There was no way I was going to let him do this without me - side by side like we have been working together for so many years!" strong working relationship. Reeves is a certified Interactive Metronome and Fit Light provider and was thrilled to add a certification for Therapeutic Yoga to her resume by attending a two week course in Costa Rica in the summer of 2017. Providing IM services, Fit Light instruction, Special Fit & Yoga sessions will be Reeves' speciality at ReClif. "My name is Reeves Turner and I have been a friend and neighbor of the Blankenship family ever since I can remember. I am a recent graduate of GSU seeking to attend graduate school for Occupational Therapy. Spending much time at the Blankenship house while growing up, I was always aware of the many therapies and activities that Reece was involved with and intrigued by the way that they persuaded him to engage and challenge himself. During college, I had a long conversation with Mrs. Blankenship who encouraged my idea that Occupational Therapy would be a good career option for me considering my passion and skill set in that arena. At that time, I began working with Reece. Besides assisting him with tennis lessons and swimming, I work with him to improve his typing skills, I encourage him during purposeful movement exercises, and I handle his interactive metronome lessons. I am very excited to soon begin work on stretching and therapeutic yoga with him! I can not wait to be fully involved at ReClif and am excited to offer what Reece and I have been working on to the ReClif clients!" Hannah will be graduating this January with a degree in Interdisciplinary Studies in Human Learning and Development with an emphasis in Counseling and Behavioral Learning Disabilities. 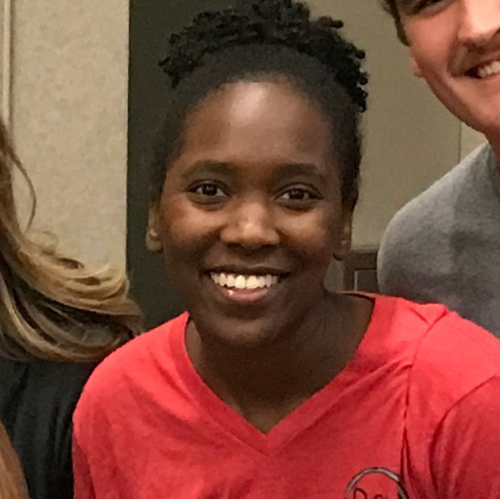 After working PT for 5 years as a KidzMission coordinator for New Hope church, then for 6 months as a Children's Activity Hostess in Disney World Hannah's personality and organizational skills are exactly what ReClif needs as our social events and scheduling coordinator! 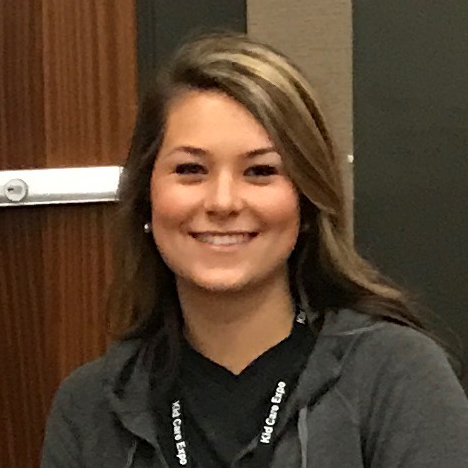 While not yet a “certified” provider, Hannah has been instrumental in Reece's journey to letter board communication, and is an effective coach with beginning choices, stencil board work and Interactive Metronome. She will also be working closely with Lou to organize, implement and schedule all the educational and social opportunities for ReClif. "In 2009 I had the opportunity to observe the self contained special education classroom at Parkview High School and quickly fell in love with the students. I spent much of my free time during high school volunteering in both this classroom and at Special Olympic events. It was during this time that I met Reece and got to know his family. After high school I began working part time with Reece as a school aide and home therapist while attending college. During the summer of 2014, Lou was excited to introduce us to using choices and stencil boards, and that fall we all attended a communication workshop and were blown away by the advances that Reece made that weekend! Since then, I have been practicing the use of Spelling to Communicate and have walked with Reece on his journey from non-communication to fully able to engage through typing. It has been such a lesson for us all and I am so excited to be a part of ReClif! During the summer and fall of 2017 I will be participating in an internship at Walt Disney World in the Children's Activities department, and as excited as I am for that opportunity, I will be anxious to get back to fully participate in ReClif in January 2018. I am looking forward to all I have learned through these experiences to help change the conversation surrounding autism!" As a 2017 graduate of Kennesaw State with a B.S. in Exercise Science, Will is the lead director for the Special Fit aspect of ReClif. He is another one who came early into Reece life and a special friendship has since evolved into a strong fitness partnership. Will has worked part-time at Mount Carmel Church and School since 2014 where he served as the athletics director and PE coach for the school, and as the youth director for 6th - 12th graders for the church. In the spring of 2017 Will, Lou, Hannah and Austin attended the Special Fit workshop in Atlanta. Shortly after that, Will spent his spring break in California where Mike Ramirez, the creator of Special Fit, hosted him and took him through the basic training for this unique fitness modality. Along with all of this, as a Certified, ACE group fitness instructor, Will is a great fit for directing the gym area of ReClif. "I first came to know Reece in preschool. Reece and I were best buds and were inseparable even though he had a hard time communicating and I had to almost drag him from activity to activity. He is actually the only classmate that I can remember from that time! After that one year, we ended up in separate schools and our paths wouldn’t cross until much later. Growing up, I always had a passion for sports and fitness. In high school I started to train a few of my peers and fell in love with the notion of individualized fitness. My senior year of high school I trained a group of 40 friends after school every day for 2 months. It was at this time that I decided to pursue a career in fitness. During this same time period, a friend of mine who knew that I coached Special Olympics, asked if I would be interested in working for a family in our area that had an autistic son our age. I was anxious at first, but once I realized that it was Reece I jumped at the chance! Reece and I worked together for the rest of high school and then off and on through college. Our relationship has grown so much in the past 6 years and I am looking forward to continuing this endeavor with him. Throughout the years I have worked in many fitness facilities, taught physical education, coached both regular education and special olympics youth sports teams and I currently work part time as a director of youth with Mt. Carmel Christian Church. I look forward to meeting all the ReClif clients and assisting you all on your journey toward fitness!" 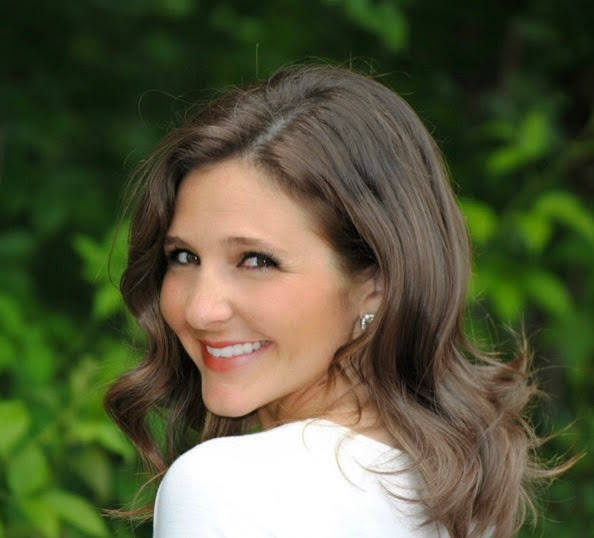 Eileen is originally from Louisiana where she earned her Bachelor’s Degree in Psychology with a minor in Business. She continued her coursework in Georgia receiving her Master’s in Mental Health Counseling. Having grown up with a younger brother with Cerebral Palsy as well as developmental delays, Eileen developed a deep appreciation for the teaching and learning processes involved with helping those with special needs. While in Louisiana, Eileen worked as an Educational Assistant at a school for special needs tutoring students in individual and group settings. She also worked as a Direct Support Professional assisting with daily tasks as well as accumulation of skills for higher goals. Here in Georgia, Eileen worked as an ABA therapist providing in home therapy for children with Autism. During her Master’s coursework, she worked at a Counseling Center treating children and adolescents with an array of needs, some including: Autism, ADHD, ODD, trauma, depression, and OCD. Through this, Eileen realized that her passion lies with the Autism population. Working with this community, Eileen eventually discovered RPM and was inspired to learn more. She read, researched, practiced with clients, and eventually flew to Austin, Texas where she received her certification in RPM through Soma Mukhopadhyay. She continues to develop her skill, and attended the S2C workshop at ReClif led by Elizabeth Vosseller. Seasonally, Eileen has also worked as a dance and swim instructor providing lessons for typical children as well as children with special needs. .
fills in at ReClif as a yoga instructor decided that it was time to put down some roots and that Atlanta was the place to do it! Skyler has always been an avid athlete and, as an actor, fell in love with cross fit in order to be able to better control his body and sharpen his focus. In September, Skyler received glowing reviews from Mike Ramirez when he traveled to the original California Special Fit location to work with Mike to obtain this certification. not only an intuitive Special Fit coach, but an energetic and innovative instructor of Fit Light. "I’m an Oklahoma City native. Boomer Sooner! Thunder Up! My mom was an actor so my brother, sister, and I grew up hanging out in the theatre. My other love was basketball. So it was acting and basketball. After high school, I figured a six foot white guy does better in the theatre. Ive been a working actor in Chicago and on Broadway National Tours around the country and have come to Atlanta for the Film and Television scene. I was introduced to CrossFit in 2012, fell in love, because it allowed me to feel like an athlete again. I still believe the formula of CrossFit is the best way to improve fitness. Fitness became more personal to me when I lost my uncle unexpectedly in 2015. I then realized that I was on mission to make fitness accessible to anyone who was looking for it. Everyone deserves the longest, healthiest, fullest life they possibly can live. I felt a personal responsibility to step in to educate and awaken as many people to their potential as possible. I also recently founded a non profit called Live Upside Down. We want to mobilize a movement of people living upside down of what the world expects. To live for others not yourself. To give a voice to the voiceless. To step in the gap. To meet the needs of those who are unable to meet them themselves. Enter ReClif. This is the perfect convergence of everything I am passionate about. I felt like Reece’s dream was so infectious and I could see that God was all over the dream of ReClif. I knew it was something I wanted to be a part of. To provide access to fitness is no small thing. This lets these individuals with autism know that they are seen, heard, valued, and worthy of dreaming. Fitness allows them to better engage in the environment around them. To be a part of a moment and share an experience. There is no greater gift than the expression of someone’s face when they accomplish something they thought they could not." Karen comes to ReClif with over 30 years experience in the health and wellness field. She earned her B.S. in Health Education from Florida State University, then her M.Ed. in Health Promotion and Behavior from University of Georgia. Her experience began in Corporate Wellness with The Coca-Cola Company, then Kimberly-Clark Corporation where she continues to contract her services. She and her husband of almost 25 years, Rich have 5 children (Eve, Gavin, Ian, Mary Rose, and Hannah). Gavin, their 2nd child was born with special needs. Karen has taught fitness classes at the Alpharetta YMCA since 1998. When Gavin and his peers got close to teenage-hood, Karen approached the YMCA about starting an adaptive fitness program for teens and young adults with special needs. She continues to run the adaptive fitness program at the Y, with her husband and children all helping with the various classes and events. Karen is a certified Group Fitness Instructor as well as Personal Trainer through ACE (American Council on Exercise). She got certified through YogaFit to become a Yoga Instructor about 17 years ago and enjoys teaching Yoga to individuals and groups of all abilities. She is excited to bring her experience and passion for fitness and special needs to ReClif. As a 2017, graduate from Georgia Tech with a degree in Psychology, Sarah is well suited to be a community outing and social event aide at ReClif. Sarah has been assisting with marketing, informational workshops, and community outing events organization." "My name is Sarah Nay and I have been lucky enough to know Reece my whole life. We grew up in the same neighborhood and went to the same preschool - fun fact: I have a picture of Reece, Will Tyler and I when we were all in the same 3 year old preschool class!! I started working with Reece about 7 years ago during high school and continued throughout my college career at Georgia Tech. I have loved the opportunity to work with such a passionate, smart individual and I'm so excited to see what's next for ReClif!" Born in Atlanta, Georgia, Sunny is an eclectic mix of photographer, videographer, designer, and advertising creative. He graduated from the University of Georgia in 2016 with a B.A in Advertising, and continued his education at The Creative Circus Portfolio School. Currently, he also works as an Art Director at Goodby Silverstein & Partners, an advertising agency based out of San Francisco, California. "After meeting Daron, Reece's sister, in middle school, I was introduced to the Blankenship family and am lucky to have known them for so long. Through years of playing tennis for Parkview High School and finding my way into family Thanksgivings and various celebrations, I quickly assimilated myself into the family as an honorary Blankenship! Currently, I’m working as an Art Director and also handle the creative elements behind ReClif. I believe Reece's vision will truly change the way people view autism and am grateful to be a part of the community that he has built." Helena graduated in 2016 with a Biology degree from the University of North Georgia. As a college level student/athlete in basketball, Helena is a great asset and plans on assisting Will with Special Fit in the gym area. Helena is also an auxiliary support with other aspects of ReClif, helping with seminars & workshops, marketing and supporting ReClif as a community outing and social events aide. My name is Helena Tyler. I’ve known the Blankenship family since I was in 4th grade when I started playing basketball with Reece’s sister, Daron. It wasn’t until high school that I was officially introduced to Reece when attending work one day with my then future husband, Will Tyler who was one of Reece’s home therapy aides. After completing my degree at the UNG, I was approached by Mrs. Blankenship who was looking for additional therapists for Reece. I agreed to take the job after hearing about Reece's story and the advances he had recently made in communication. Reece has forever made an impact on my life. I am hoping to pursue a career in pediatric neurodevelopment with an emphasis on autism, and am currently studying for the MCATS and preparing my applications for medical school. I am passionate about being an advocate for autism and want to dedicate my career to doing so through medicine. I look forward to the destiny of ReClif and I am more than honored to help support Reece’s mission any way that I can! GO DAWGS! 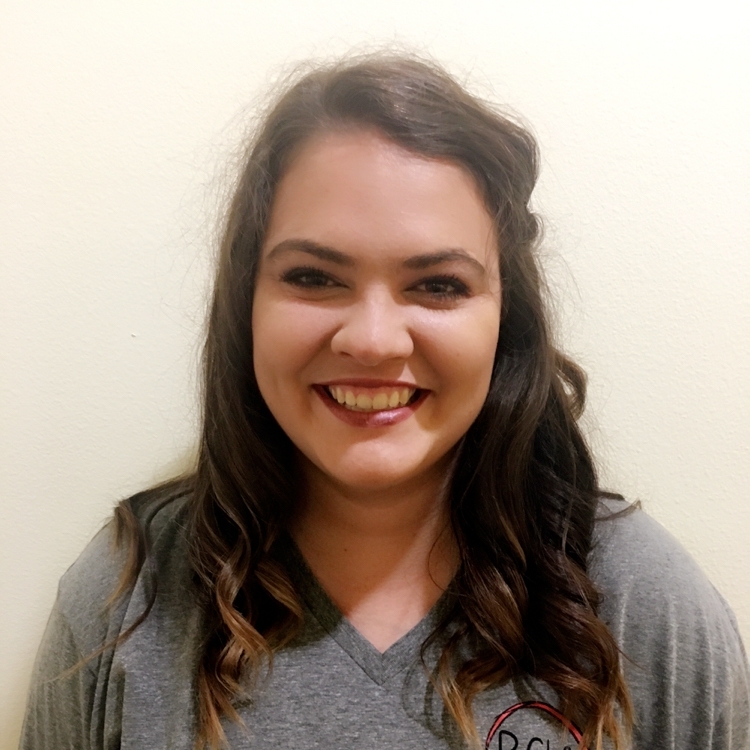 Riley is another one of our UGA grads, graduating in May of 2017 with a degree in Communication Studies. Riley currently works full time at Katz Broadcasting, but continues to be a major part of Reece’s life. Riley has helped support ReClif at seminars and workshops during the planning stages, and will be involved in ReClif community outings and social events. Moving to Georgia in 3rd grade, Riley quickly assimilated herself into the neighborhood playgroup and sports association, where she became close friends with Reece's sister, Daron. Riley is the daughter of two educators, her Mom teaches Special Education in Gwinnett County and her Dad works at the Administration level … from their very first meeting, Reece has shown a comfort level with this family - always making sure he rubs Mr. Johns bald head for good luck! Riley worked with Reece as an aide during high school and college and continues to be involved with the Blankenship family to this day. Reece considers Riley as one of his closest friends and makes sure that she visits often. Their hangouts typically include cookie baking, long walks and trips to Outback & Pizza Cafe. Akeem was born and raised in Atlanta, Georgia and graduated from Georgia State University with a degree in Psychology. Shortly after graduating college, Akeem interviewed for a position counseling at-risk teens. During the interview, Akeem was told that he had the personality to work with individuals with unique needs. Not knowing much about Autism or Down’s syndrome at the time, Akeem was hesitant initially but ultimately accepted the position and has never looked back. Akeem has worked in multiple settings including hospitals, centers, schools and in-home therapy providing ABA and parent training as a Registered Behavior Technician for individuals with unique needs. Other activities include serving at his local church as a teacher of Bible doctrine to teens and strength training daily for exercise. "I have been an ABA Therapist for the past 9 years and really love the opportunity to be able to assist people with unique needs to manage their behaviors in a manner that best suits each individual. 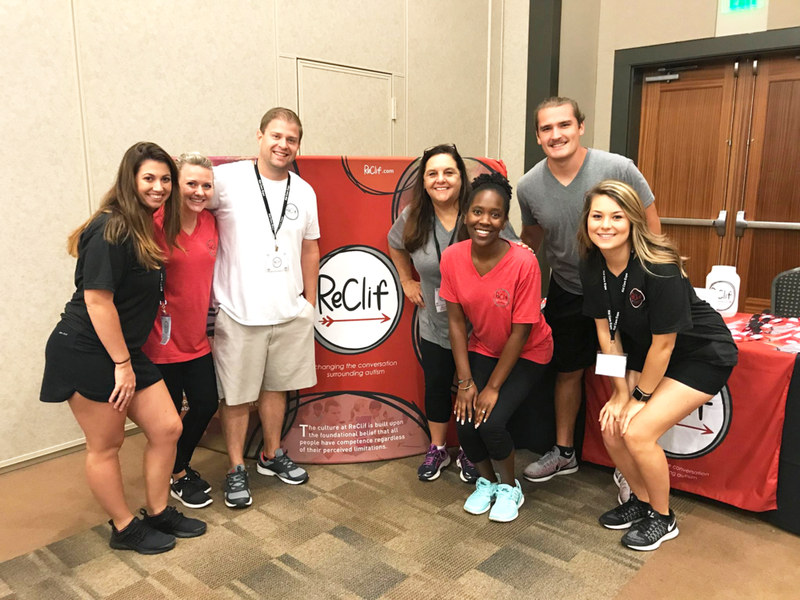 Once I was introduced to ReClif, I was blown away by how they presume competence and use fitness and other means to train the brain as well as the body. I knew that I had to be a part of what is happening at ReClif! 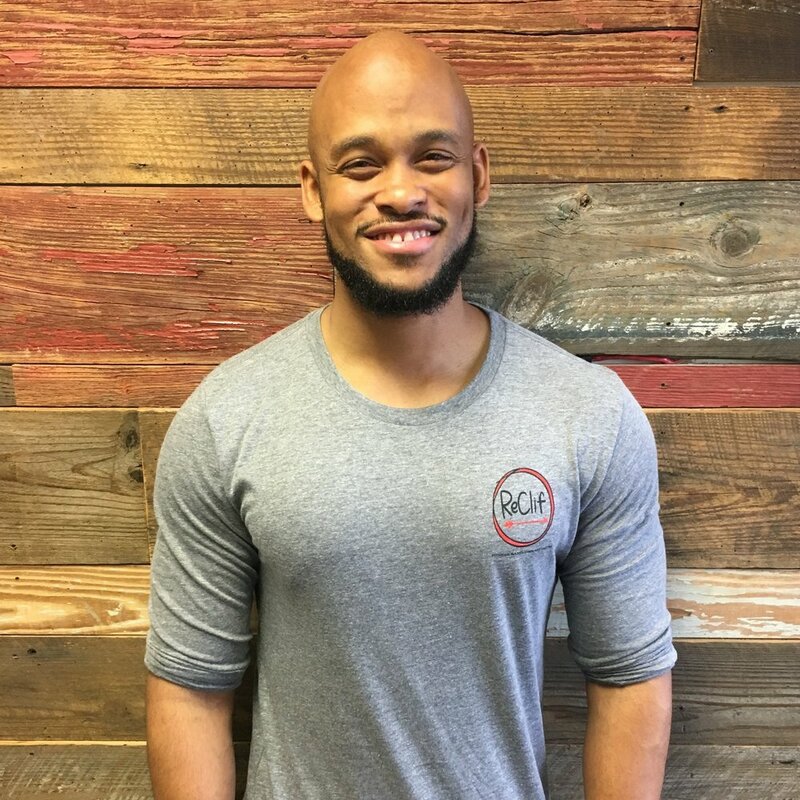 I look forward to integrating my ABA experience and passion for physical fitness with IM, Fit Light, and S2C in order to serve the individuals and their families at ReClif." Bonny Jean comes to ReClif from Chattanooga, TN. She graduated from Berry College in 2014 with a degree in English Literature and dance where she studied dance therapy and the effects of physical movement on the mind. She is a current Nursing Student and Doctoral Candidate at Emory University. She is passionate about studying the mind-body connection and the therapeutic effects of yoga in autism.